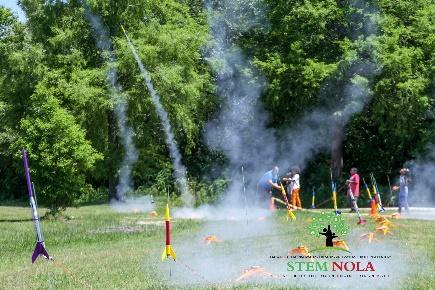 Students will work on projects to learn about the fundamentals of Rockets and participate in hands-on activities to build and launch actual rockets. A rocket is a missile, spacecraft, aircraft or other vehicle that obtains thrust from a rocket engine. How does a rocket engine work? According to NASA, Like most engines, rockets burn fuel. Most rocket engines turn the fuel into hot gas. The engine pushes the gas out its back. The gas makes the rocket move forward. A rocket is different from a jet engine. A jet engine needs air to work. A rocket engine doesn't need air. It carries with it everything it needs. A rocket engine works in space, where there is no air. There are two main types of rocket engines. Some rockets use liquid fuel and other rockets use solid fuels. Fireworks and model rockets also fly using solid fuels. 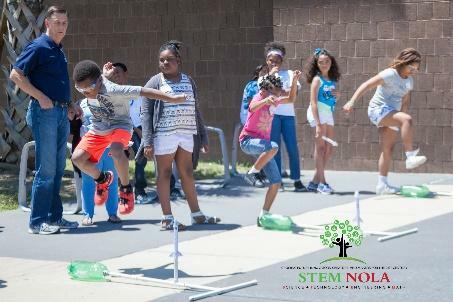 Students will design, build and launch paper rockets, water rockets, air pump rockets, alka-seltzer rockets and engine propelled rockets. 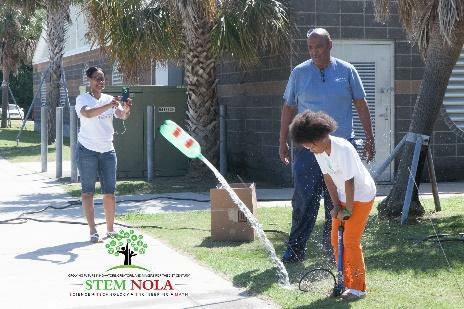 The rocket activities will teach children Newton's Three Laws of Motion through hands-on experience. It also helps the children make connections between math, science and everyday activities. The activities are aimed at teaching children the engineering design process and teamwork. Wind is the movement of air from an area of high pressure to an area of low pressure. In fact, wind exists because the sun unevenly heats the surface of the Earth. As hot air rises, cooler air moves in to fill the void. As long as the sun shines, the wind will blow. And as long as the wind blows, people will harness it to power their lives. Students will work on projects to learn about the principles of simple circuits, electricity and Wind Energy. 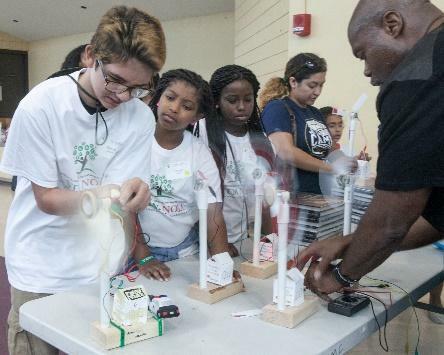 Students will build simple circuits powered by Wind energy. Students will be able to describe how a circuit works and follow directions to create different kinds of circuits. 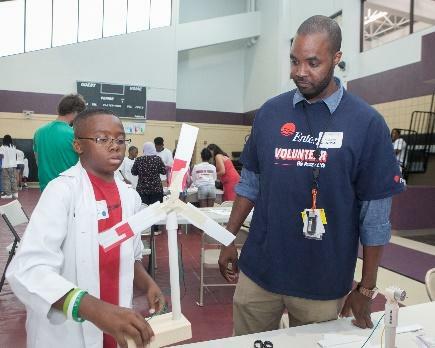 Students will design, build, test and evaluate their own wind mill and turbine. Solar Energy is a renewable energy! Solar energy because it is constantly replenished and will never runs out. Students will work on projects to learn about the principles of simple circuits, electricity and Solar Energy. Students will build simple circuits powered by solar energy. Students will be able to describe how a circuit works and follow directions to create different kinds of circuits. Students will design, build, test and race their own Solar energy cars.